Woodturning has become a popular hobby for many people. Today, professional craftspeople and ordinary folks alike engage in this activity. There are woodturning kits available for curious individuals, which are ideal for beginners because they include instructional leaflets. They also help in achieving that hard-wearing and professional finish. There are numerous kits available, depending on your wood turning needs. For instance, if you want to make a bowl, you can purchase a bowl kit. This kit includes specific tools to be used for turning the wood into a bowl. If you want to make a pen, you can buy the pen kit. For beginners, it is advised to start with small items. There are many little things you can create from woodturning. Imagine every tiny detail of a wooden object: it might be made by woodturning. Examples of these include bottle corks, perfume applicator pens, spinning tops, Christmas tree ornaments, and key chains. The advantage of getting these kits is that you only have to buy the tools required to make a specific object. You also get to be familiar with the tools, especially if you're still a beginner. It is easier to become gradually acquainted with every tool than hoard them and then try to figure out what each of them can do. Woodturning kits also include finishing items, such as abrasives, polish, wax sticks, and colours. Abrasive papers are used to obtain a smooth surface. Always start with a medium grade and work your way up. Remember not to use steel wool. Wood turner's lathe polish gives the wooden end product a good seal and finish. Remember that highly porous wood may need more than one coating. The stick is often applied to the wood as the lathe is turning. Make sure to only apply a thin layer on the surface. Dyes or colours should be applied on the bare wood prior to finishing. Always remember to buff the surface with clean cloth to get rid of the dust. sanding sealers that make your finish look its very best. If you're finishing open-grain or porous materials, be sure to use a sanding sealer first to guarantee a smooth, final finish. This is a liquid, wax-based polishing cream with small amounts of a very fine abrasive. It's used to revive dull and tired hard finishes (including varnish, French polish, lacquer and modern finishes) and remove haze, bloom and water marks. The burnishing cream will also clean ivory, brass fittings, mother of pearl, and tortoiseshell . I have seen it recommended in English woodworking magazines (where it's more commonly known) as a last treatment to glossy finishes to enhance and even out the shine. This finishing oil is a blend of high quality oils (mostly pure tung oil) that is easy to apply and maintain. The durable and natural finish is resistant to water, heat, alcohol and food acids, so it's ideal for kitchens and bathrooms, and other areas in which wood surfaces get daily use. The sheen of the oil finish enhances the natural colour and beauty of the wood. It is very similar to tung oil, but the addition of resin dryers brings the drying time down to about 5 hours. This is an easy way to get a great oil finish. This is just the thing to use to get a durable gloss with no muss or fuss. It goes on smoothly and won't scratch even the softest woods. Based on Carnauba Wax, a wonderful, natural finishing wax. Can be applied on the lathe, on bare, sealed wood or after a coat of Wood turners Lathe Polish. All you do is hold the stick against the work as it turns and the pressure and friction will melt and force the hard wax into the pores of the work, giving a great finish. Buff to final sheen using a safety cloth. This shellac-based finish is designed to be rubbed into lathe work while the wood is still turning on the lathe! (Use a safety cloth.) It seals and finishes in one easy step. The polish can be used as a finish in itself, but most people follow up with a carnauba-based Woodturning Stick for a final sheen. Note: this polish is mostly shellac. 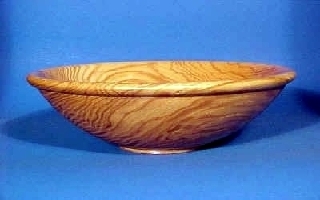 Many wood turners use the pre-mixed pale blond shellac instead, which works as well but with a slightly different look. The easiest way to get that traditional look on a piece of wood is to use a traditional finish. Beeswax paste has been popular for centuries as a wood nourishing and protector so it is an extremely traditional finish for absorbent woods such as unsealed pine and oak. Beeswax paste finish is an easy-to-use mixture of pure beeswax and pure turpentine. Three colours are available. Applying finishes, wax, and buffing on a lathe has always been a quick way to get a great finish. However, with regular cotton buffing cloths, there is always a danger of a thread being caught in the mechanism and trapping your fingers or hand. This safety cloth has the characteristics of a fine buffing cloth, but is especially made so that it tears very easily should it get caught in the chuck or in other moving parts. Use this cloth to apply colour, apply most finishes or buff wood while it's still turning on the lathe. Regular cotton buffing cloths are just not worth risking an accident.